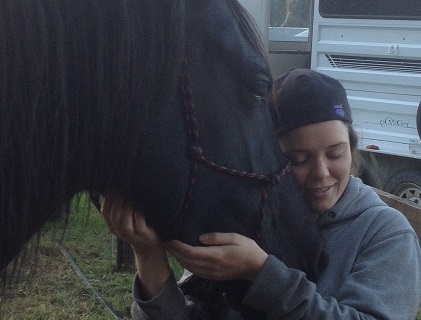 Are you wanting a deeper, more spiritual connection with your horse? Would you like more balance and harmony in your relationship? Would you like to learn how you can do more to support your horse physically, emotionally, mentally and spiritually? Are you looking for ways to improve your own health and wellbeing? Give yourself the greatest gift, of Reiki . . .
Reiki is a powerful, yet gentle hands on healing technique that comes to us from Japan. This lovely modality can be easily learned and is highly beneficial for assisting both humans and horses physically, mentally, emotionally and spiritually. Horses often come into our lives to guide and heal us. 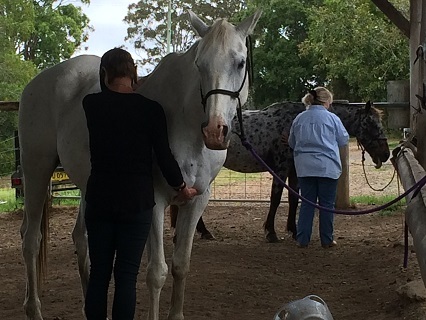 Tuning in to their extraordinary healing capacity while awakening our own is a transformational life event which nurtures deep partnership and understanding with both the horses and humans in our lives. You can learn this and so much more at our transformational four day Equine Reiki courses. These four days spent together will be unlike anything you've done before. 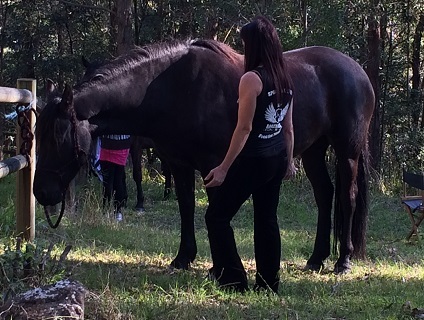 Take time out of your busy life and immerse yourself in nature and a unique and life changing experience; learning how to create harmony and balance in your relationship with your horse through healing, meditation and spiritual connection. Courses are held at various times and locations throughout the year with limited places on each course to ensure quality one on one interaction. You can visit our website for more information on courses, dates and venues. 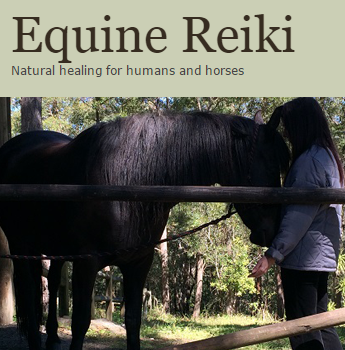 Four Winds Equine Reiki courses are fully accredited and highly recommended for all horse lovers or equine professionals who are interested in learning Equine Reiki for personal or professional use.